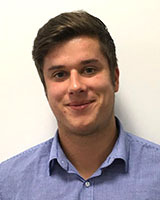 Matthew is a proactive young professional who has a career in Sustainabaility across a wide range of industry projects. Outside of work, he is a keen sportmans and works on his own businesses. His goal is to keep striving for sustainability in any project he is part of. Luckily, the involvement in FPX has aligned with this vision. Being part of the EYA community will allow us to share our message about foodwaste and our solution supporting a range of businesses with their sustainable goals."